Starting a new business can be an expensive endeavor. Many aspiring entrepreneurs cannot seem to take advantage of a business opportunity due to the costs associated with founding a business. This is even true if you are just trying to start your own online business. However, there are many options available that require little to no start-up capital. If you are interested in learning more about the best business to start without a lot of money, you have come to the right place. 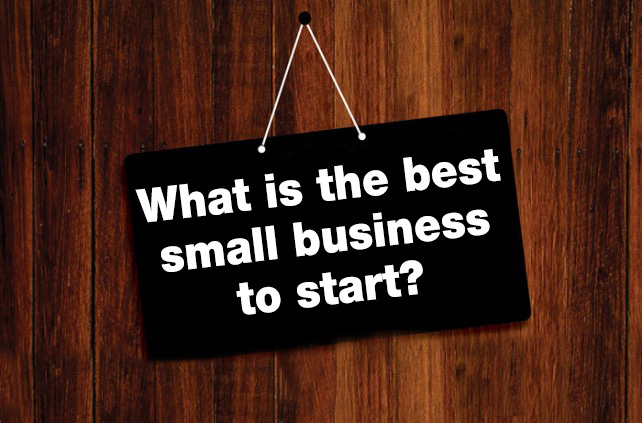 Keep reading below to find our top businesses that you can start today. Consultancy services are easy to start and require virtually no capital. Aside from advertising and possibly an office rental, you would not need to spend money to get your career going. As long as you have the skills necessary to advise people, you can start a consultancy business. First, make sure that you have good people skills. Next, consider where your areas of expertise lie. You could become a marriage counselor, a legal consultant or even a social media consultant. As long as you have the necessary credentials and the drive to run your own business, you can start consulting immediately. Just be sure to research how to start your own consulting business to prepare yourself for success. Web design is an excellent business to break into if you have the computer skills. Many other small businesses or start-ups are looking for quality, inexpensive web designers to make their organization pop. Opening an online business is one of the best low-cost options to entrepreneurs. Start by creating your own website. You can even use free platforms, like WordPress. Then, you can use your computer skills to design beautiful sites for profit. In some states, you do not have to have a license to clean windows or paint houses. This is an excellent business opportunity to capitalize on. You can also offer other handy services. Even simple things, like hanging pictures or changing air filters, can be excellent services to offer that people are willing to pay for. It is also a simple business to open with low startup costs. If you want a low-cost business idea and you are good with tools, a handyman business is the best business to start. Event planning is a great and inexpensive company that you can start today. Someone with good organizational skills should consider this a viable option. If you can make connections with local vendors, bands and caterers you will be well on your way to becoming the best event planner in town. You can choose to plan everything from leadership workshops to weddings and birthdays. Word of mouth is an excellent, free way to let others know that you are in business, so you will not have to spend a dime. Child care is one of the greatest costs for families with working parents. Starting a day care can be the perfect way to forge your way into the business world. Licensing may be required, but you can often run a day care out of your own home. This will save you overhead costs and allow you to offer parents reasonably priced, high-quality child care so your business can flourish. The first step to starting a personal assistant business is to become a personal assistant. Again, an excellent job for people with good organizational skills, this option is for someone who is willing to work their way up. You can start your business by working as an assistant yourself before worrying about how to form an LLC. Then, when you have enough money you can begin to contract and hire additional personal assistants to make your business grow. For anyone looking to start their own business, it is important to find the right fit for you. Play to your personal skills and follow your business intuition. One of the most common ideas is to start an online business, but the best business to start is one that you can feel confident doing. Each of the businesses above are a great, low-cost starting point for your future enterprise.